More people are on the road, and that means more accidents. This is costing insurance companies billions of dollars a year. If only there was a way to help determine the chances of an accident ahead of time. There isn’t, but insurance companies have found the next best thing – work with the customer to find out how their vehicle performs in poor weather conditions, after an accident, or under other extreme conditions. Telematics uses GPS and another on-board computer monitoring system to track a vehicle’s condition while driving. Some high-end model cars can detect if a car’s tire is getting low, while others just check the oil, transmission fluid, or electrical output of the battery. 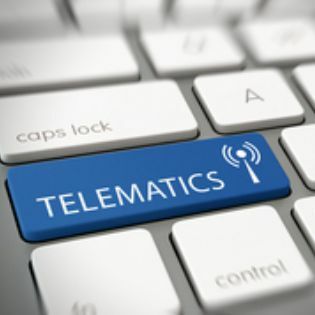 Although these may seem like typical things, telematics sees these as potential problems in the future. The car in question may get a blow out from decreased air in the tire or a blown engine with not enough oil present. Determining future possible mechanical errors can then be referenced with manufacturer data to determine if a particular make of car is susceptible to that particular problem. This same type of analysis can determine the structural integrity of certain vehicles. If a car is in an accident, then the tow driver can make an initial assessment of the damage. The assessment is sent to the insurance company in real-time, which can lead to the insurer automatically sending out a rental car or totaling the car on the spot. This use of telematics helps the insurance company complete claims faster, get the customer quicker service, and overall makes for a good insurer-insured relationship. The amount of data stored for telematics is monstrous. Besides the GPS data, the telematics unit must also keep track of the driver’s habits. In some cases, this could be ten or twelve hours a day, every day. If the vehicle is a commercial vehicle then it can be even more than that. Video is also used in some telematics packages, which loads a lot more information onto your servers. Some telematics solution providers will store the data on their servers, but that can prove to be very expensive: especially, if you own a small trucking company or some other fleet of vehicles (taxis, limousines, etc.). Carsharing is becoming more popular globally. Many universities now have car-sharing programs, in cooperation with Ford, in which students can rent a car for an hour. They get a membership card, book online, go out to the college parking area, scan their membership card, hop in and drive off. Telematics will continue to grow, and with its growth will be the ability for smaller companies to take advantage of the technology. These small- to mid-sized companies need to have the ability to store the data in a secure location, and not worry about the impact on their current infrastructure. Parts of this technology have been in use for several years. Vehicle tracking, container tracking, and UBIs (Usage-based insurance) are all forefathers to telematics. Cloud solution providers allow not only the data to be stored, but first- and second-tier applications can be analyzed as needed. A good solution provider, like TOSS C3, has the ability to add on applications as new technologies become available. This makes the future easier to control, not only in your business structure but in your overall IT infrastructure. A telematic unit in the vehicle helps insurance companies determine liability based on the make and model of the vehicle, the customer’s driving record, and local areas that can perform maintenance on the vehicle. Insurance companies are hoping to install telematics in all cars. They would also like to see third party reporting companies in charge of customers driving habits. This would act as a credit agency for drivers. This would allow insurance companies to know everything about a person’s driving habits before signing them to their company. The long-range goal of this is to prepare drivers for autonomous vehicles. Users will be more adaptive in vehicles that follow the speed limit and report any errors directly to the insurance companies. This will help to reduce the actions of more radical drivers since their actions are recorded. This makes the streets safer, drivers more careful, and insurance companies can offer more competitive rates since driver’s information is available to all insurance companies. Companies that look into cloud solution providers will have the ability to store their information, and access it from anywhere. As telematics takes off and becomes a new form of wireless technology, which currently falls under the IoT (Internet of Things), it is essential to be ahead of the game. Any company that issues company vehicles should talk to a cloud solution provider today, so they are prepared for tomorrow. Get a free assessment to see how TOSS can help you prepare for the future.